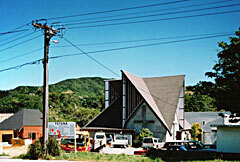 Friend Street, Karori, Wellington, Opened 1961. 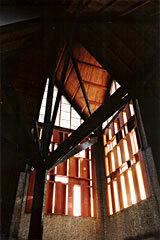 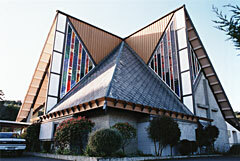 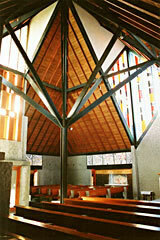 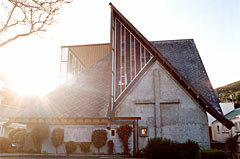 The Chapel of Futuna is arguably the most significant New Zealand building of the 20th Century. 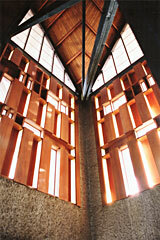 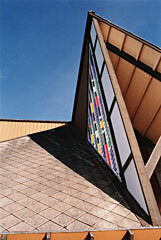 The chapel is a place of reflection and contemplation, of meditation and inspiration. 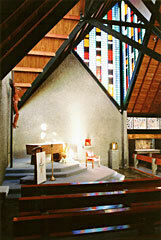 Only a philistine could sit on a pew in the Futuna and not connect with the spirit, the mauri, of the building: the play of light across the walls and floor, the contrasts of material and texture, the perfectly proportioned walls and windows, the human size and intimacy of the spaces, and the chapel’s strong connection with the earth. 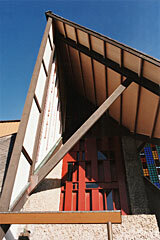 These qualities don't come from the building’s history, or how much it cost, or even its Christian connections. 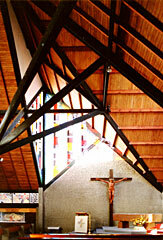 They come from the quality of the architecture. 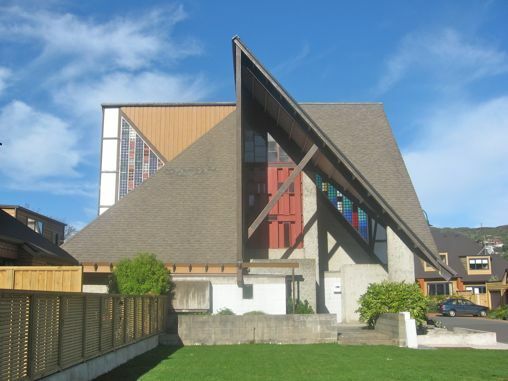 Unfortunately the chapel and surrounding land and buildings were sold to developers in 2000 and while 90 residential units where being built the chapel was used as storage for building materials and some interior fittings were damaged or stolen, including the carved figure of Christ. 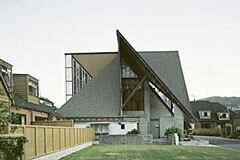 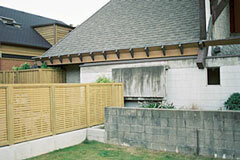 In 2002 the Wellington City Council moved to protect the chapel, including the interior and surroundings, in its district plan, although they failed to prevent units being build ridiculously close to the chapel. 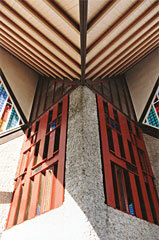 The Friends of Futuna Charitable Trust has since purchased the chapel. 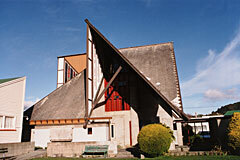 The Futuna Trust site tells you how you can help the effort to conserve this vital piece of New Zealand's architectural history.